Results are arranged by average Extended CRI values (R1 through R15). Measurements were taken with a Sekonic C-700 Color Meter. Values for R9, R13, and R15 are listed because they are important for proper skin tones, yet LEDs tend to not render them correctly. Thanks for testing all these lights. 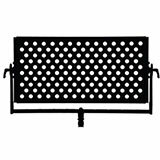 We’ve been looking at investing in a new set of LEDs and we were looking at a the Litepanels Astra, but after seeing your data I am not so sure. 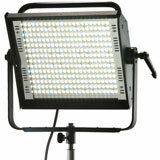 What are your recommendations for a set of lightweight, high output LEDs that produce great color? Yeah, based off of these test, and what I’ve heard and seen from others, I would consider something else. 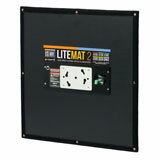 Personally, I would seriously look into the LED’s from LiteGear. 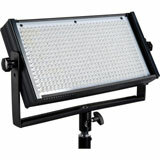 Not only can you “build” your own high quality lights for very affordable prices. 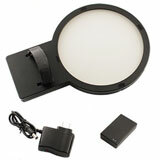 But you can also buy their pre-made LED’s which are thin and lightweight. The people behind LiteGear work in the industry as Gaffers- so I know they’ve build there gear to withstand the rigors of set use. Another light I would recommend would be the Fill-Lite. I LOVE the soft quality it puts out, high output, good color, low power draw. However, it isn’t near as small and portable as any of the lights I previously recommended. 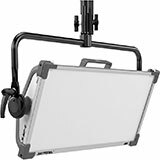 If you have worked with the Kino Celeb before- the Fill-Lite is roughly as big and heavy as that light, but better color quality. Hi Ryan, Ted here from Aputure. 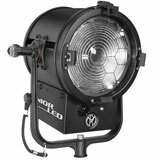 I manage the US branch of the company and I’d like to send you a sample unit of our lights, so you can speak from experience about our gear. We’re new to the spotlight, but not new to LED lighting and I’d like for you to see that for yourself! Please message me. Thanks. I’ll send you an email shortly. I look forward to checking out your lights. What is the TLCI reading of the Aputure Lightstorm?? The Aputure Lightstorm 1S has a TLCI of 96.7, while the Aputure Lightstorm 1/2w has a TLCI of 98.1. These results are from my most recent color readings, which I took at NAB in April 2016. 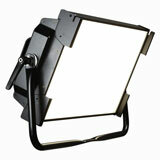 I’m curious, with the Litepanels Astra, were you measuring on daylight or tungsten? And for that matter, I’m assuming you would have been consistent with all the other bi-color LEDs? I’ve found on the Astras that the 2700K readings are more accurate than daylight. 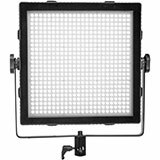 The measurements for the Litepanels Astra on this page are for daylight (5936K) and was measured in 2015. We updated the entire database last year (2016) and the Astra’s color quality greatly improved. Our results can be seen here: https://indiecinemaacademy.com/complete-led-color-database-cri-tlci-cqs-tm30-15/#litepanels-astra-1×1 We will be retesting the Astra again this year (2017) at NAB, assuming that Litepanels shows the light. Many LEDs have more accurate color rendering for tungsten balanced CCTs than the daylight balanced CCTs, and Astra is an example of this. So it for tungsten balanced it is around 3-4 units higher than daylight balanced. 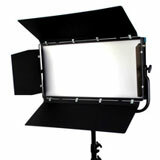 Its my understanding barger-lite is and has been used by DP and best boy production teams for many years. The website is http://bargerlite.com Hope this helped. Thanks. 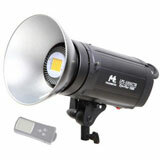 Yes, we have it up on our new LED database. We ranked the Barger Lite at 98.0. Ultimately a meter reading is great start and you can see some relationship between CRI and TLCI, but I have to hand it to TLCI as a superior scale to understand the overall quality of the light. I also think it’s important for your CRI blog that you take readings of traditional industry standard lighting instruments generally accepted as a “high quality” or “full spectrum” lights. I suggest taking readings from all the big name HMI manufacturers and fluorescents, you’ll get an even better understanding of the relationship between what kind of light is acceptable and what is crap. I won’t spoil the result, but I’m certain you’ll find the results interesting. Thank you Illya for all your thoughts about CRI vs TCLI. Great information for everyone. I highly recommend people checking out your links. As you said, not all single CMOS sensors respond the same to light (not only visible, but IR too!) This is a great reminder of the importance of doing camera tests before production, and including the lights you plan to use in those tests. Great suggestion to include other light sources in our tests, including HMIs and fluorescents. That has been the plan. Understandably, just testing 44 lights at NAB and then analyzing the data took some time. Adding in HMIs, fluorescents, plasma, etc would have tied us up for the entire week of NAB! 😉 Soon! Yep- we are definitely lighting nerds for sure. 🙂 I love the power this kind of testing gives the end use- knowing where lights suffer, and where they excel allows for smarter choices on set. I appreciate the link to the solid state lighting project- I’ll definitely check that out. Personally, I think the results speak for themselves. The prism block changes the way the camera sees light, which changes the results. So I’m doubtful of a standard that relies on prisms to be used for non-prism based cameras. Like I said in the CRI video– it doesn’t negate TLCI, that’s still a helpful standard. Thanks for the kind words. I’ve met Art Adams I have had the pleasure of debates with him both in person and on-line on more than one occasion. I also had the pleasure of meeting Alan Roberts in person on one occasion, at which time I grilled him pretty heavily on his conclusion in regards to the practicality of high frame for capture and playback (60-150fps). But that’s a conversation for another time. So for transparency, I guess if Art is an acquaintance of mine then Alan would be even less so. I do not agree with everything Alan publishes, but I can tell you after reading Art’s blog, I’m inclined to side with Alan on this. I’m not saying there aren’t difference in the color rendering of the HS and V35 Varicams, clearly there are- but I greatly disagree with conclusions that Art has drawn, in which all blame is laid at the prism and that extrapolating that TLCI must be fundamentally flawed because of the inclusion of a prism. Besides a prism there are many other difference between the HS and V35 heads. Both Varicam camera heads have different sensors and are designed for different purposes. They are far from identical and I’m not convinced that the level of a super exact saturation match was a priority for the engineers at Panasonic. The V35 and the HS are both descendants of the famed Varicam family, which most people who know those cameras know had a great look, but the Varicam was also a chameleon that could work amazingly for almost any situation and had(or has for those still shooting them) the ability to deliver several great looks with only adjustments to a few key menus. If an exact saturation match was a real priority for the factory, they could have made it an entirely achievable match in camera, instead of the relatively minor step required in post production, or via connecting two cameras to a remote paintbox for an on-set match. Ultimately I think Art’s point of a non exact match is actually being used to justify his blog rant against TCLI from months earlier, but the differences between heads are not radically different and certainly no smoking gun. Geoff shoots good tests, tests I really enjoy, but I’m fairly certain that Art wasn’t present and he doesn’t know for certain how both of the Varicam heads were configured (and probably not recorded or processes.) My feeling is that you have to do it yourself to really know for certain. I bring this up not because I believe Geoff made any mistakes, only that Art has a further level of removal from the process. I didn’t comb through all the discussion on the CML, so it may have been included there, but the exact recording method and camera settings that could effect color rendering weren’t printed on the test page, so it could make an exact duplication of his test difficult- but still it’s not hard to create your own apples to apples test. Art’s conclusions are not based on his own test, they are based on Geoff’s. I do have a number of issues with the results of Geoff’s test, but as I wasn’t present so I don’t feel that my own criticism are appropriate, just as I don’t think Art’s conclusions are either. I’ve been shooting with the V35 for sometime, and I have to say that both with testing and in subjective shooting I am seeing and counting at least 2x stops more of highly useable and DR than Geoff claims in his test results, so clearly IMO there is a discrepancy somewhere. A lot of LED lights have trouble with R12. Is it arguably the most important portion of the spectrum? Debatable- but lights with very good R12 definitely look better to my eye, particularly lights that are supposed to be daylight balanced. I’m curious to follow what daylight lights you’ve tested and meter aside, what you think looks to eye like the best for 5000-6000 kelvin light. I definitely have my picks, and right now I can not say that my favorite is an tradition HMI unit. Thanks for the info Ryan. What are your thoughts on the Dracast 1000? I noticed the 500 scored quite high on your test. 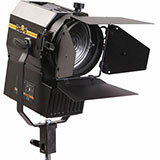 honestly for the Dracast, or any other light that isn’t made by someone who actually works in the film industry (Like LiteGear, Fill-Lite, Kino, Mole, Arri…) my question is always how long will the light last- is it built to withstand rough use on set. Color quality and output seem to be great- but I don’t know how long it will hold up. If you are only looking for a light for the short term (1 – 3 years) it looks, and feels like it will hold up. But if you are looking for a longer term investment- I don’t know- only time will tell. Would like to see the Aputure LightStorm LS1 and LS1/2 to be tested. We are in the middle of testing those very lights, plus a few more. Stay tuned! i want to understand what does it indicate the Ra till R15 and is there a link explain in much more detail ? R1 through R15 are 15 colors selected in an attempt to evaluate the color quality of a light source. The Ra value is the average of all 15 colors. * Lighting Resource Center: What is color rendering index? * Digi-Key Electronics: What Is the Color Rendering Index and Why Is It Important? First, thanks for putting this together. Manufacturers often give us the bare minimum of information to make an informed decision. 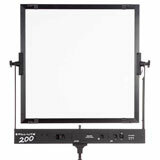 I’m hoping you’ll have a chance to test Alzo’s LED instruments, specifically the new (low noise model) Alzo 3200 high-intensity LED light. Thanks, Oren. Yeah, I think everyone has issue with manufacturers not giving out the crucial info. I mean, when have you ever heard someone say, “That product maker gave me too much info about their product.” Very frustrating, especially when getting high quality light from LEDs is so important. We’ll see what we can do with testing the Alzo 3200. No promises, since we have a bunch of other reviews we’re working on. Thanks for pointing us to them. Very curious to see if you could test the newer Westcott Flex 1×1’s or 1×2’s to see if they yield the same results as the older, original 10 inch Flex you have tested. It’s been nearly a year between these models, maybe they’re the same but i’m hoping they may have had a chance to improve on that mediocre R9 value… Thanks! In looking at Westcott’s description of the Flex 1×1 and Flex 1×2, I’m going to guess that they are using the same emitters as the Flex 10″ x 10″. On all three of these products they list the same CRI (95) which is what we measured too. If the R9 value had improved, the CRI value would also have improved. We are currently testing some other brands of LEDs, and are getting some amazing readings. Not to spoil the surprise, but I recommend looking at Aputure and Yuji brands. Aputure has great R9 values, especially in their Light Storm line. Yuji’s VTC line of emitters is phenomenal, although they don’t have traditional set-lights. Thanks to both of you on the super helpful and fast reply! I’ll keep my eye on the Aputure and Yuji products for sure, though i’m really loving the portability of the Westcott and Litegear ‘LED mat’ products they’ve innovated. You wouldn’t by any chance be willing to reveal the ‘markedly improved’ R9 reading from the 2nd Westcott unit would you? Understand if you can’t, thought it was worth a shot. Thanks again! 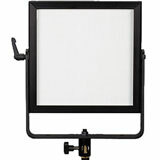 Oh, we aren’t knocking the Westcott Flex or the Litegear LED mat at all! 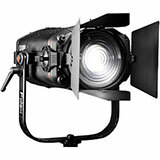 In fact we use the Westcott Flex and the Litegear ribbon lights. They are all great lights, each with a different function. The Westcott with the improved R9 value is no secret. It was the Flex 10″ x 10″ light they sent us as a sample after NAB 2015. It might have had a better R9 value by chance or they might have cherry picked it. Technically it was the same model as the one we tested at NAB. I talked with a Westcott rep today at a small trade show and he confirmed that all the daylight balanced diodes are the same. 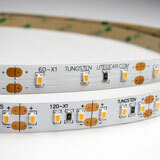 If you can be flexible, their tungsten balanced LEDs have a slightly higher CRI value (98 vs 95). However, we tend to stick with daylight for all our lights to make things easier on set. Very interesting read, thanks for putting the time to out this together. Interested to hear your thoughts on the Astra BiColor. Any news on when you’ll be publishing latest results? Thanks, Tim. Litepanels sent us an Astra bicolor and we are in the middle of some extensive tests of its light quality, along with 7 other brands of bicolor lights. I’ll update the LED Database with the general CRI values this weekend, and hopefully will get the full article of the bicolor LED comparison tests posted in a couple weeks. 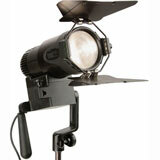 The new results are now up for the Litepanels Asta bicolor. Its ranking improved from the first units we measured, so perhaps they developed a better LED diode. Very nice! I’m excited to check it out! 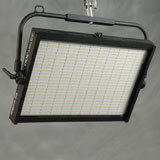 I will be retesting ALL LEDs in our database at NAB, so that the ranking is as current as possible. I’ll also be testing with two color meters, the Sekonic C700 and the Asensetek Lighting Passport. Dear Tim. I understand that is almost impossible to test all the led lights but please, next time take a look at THELIGHT (thelight.com.es). They have two incredibles systems named VELVET and ARTICULATED PANELS. I own some of these lights because past year I record some videos for them and find myself that were really amazing (robust, Ip54, very high CRI ant TLCI). I think that they have an office in USA. Sure. I asked them and they will be at Central Hall, Booth C12344. Ask for Javier Valderrama. He is the CEO and the brain behind THELIGHT. Thanks David. I checked out TheLight and will be adding many of their models to the database once I process all the lights I tested at NAB (around 100!). Thanks Steve. Yes, often it is safe to assume that most models by a brand have similar CRI values. Only caveat to this is if LED diodes are from previous generations or are on cheaper models. Some brands also don’t do quality control, creating wide variations even within models. Or they might safe inferior diodes for their cheaper models. Anyway, this year at NAB I’m hoping to sample multiple models from each brand to create a more complete database for everyone. Safe travels to all who are attending NAB 2016! It will be a very full week! As you have noted consistency in LEDs is an issue. As CRI etc is pushed by manufactures it is also good to know their binning standards. Are they going 2 step 3 step 4 step etc. How close do they stay to the black body radiator curve is important. As an FYI the new Puck Lite ww.pucklite.com will be at NAB in the DSC labs booth C6043 lighting the industry standard camera line up charts with the Puck Lite. Your readings also back up your video “Is CRI relevant with LEDs.” If you look at lights with the same CRI and then look at the spectral distribution curve you will see the lights don’t match. So shopping by numbers don’t tell the full story. Also image senors in cameras see colors differently. For example the kino flo Celebs have a magenta tone on a Sony but they are fine on the Alexa; not a light issue, it is how the sensors differ. While the C-700 is a good tool and better than many colour meters the final judgement is an on camera test IMHO. if you are looking at these readings I recommend you first view the video posted on this site about CRI and Leds. Hi, Ryan. I’d also like ad a request for the Aladdin Bi Flex lights. 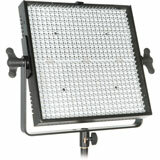 My understanding is that they nearly the same as the westcott flex LEDs but with even better color. Looking forward to the next update. I talked with both Westcott and Aladdin at NAB 2016 about their flex lights looking nearly identical. Their answers were enlightening! Westcott: Said they have a patent-pending, and in around 8 months (once the patent is final), the Aladdin flex will no longer be on the market. And no, Westcott and Aladdin DO NOT use the same manufacturer. So both companies’ answers make it pretty clear who copied who. The update will be done this week, most likely by Friday. I am creating a brand new page for the new database (Update: It went live on July 1, 2016 at 11AM PST) because we’re adding a lot more info and graphics to help people fully understand the color quality of each light. 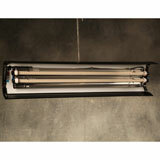 We will be including CRI (Ra), CRI (Re), TLCI, CQS, and TM-30-15. Once complete I will post the link on this page as well as send an email to everyone on our email list. For those not on our email list, you sign up for free here. Monte, the new LED database is now live. I’m still actively completing it — it is lacking the graphics and photos — but the important info is up. Your measurement on Creamsource Bender is also wrong. We have proven track record with several test sources including the properly verified ECRI rating for our lights. You cannot just write something with a randomly taken measurement at an exhibition hall. I like to challenge you on that, if you cannot prove your statement please donot create these Kind of unwanted not properly tested Data Base. Please immediately contact us through our website we will set you up with a light for you test it properly or please remove our listing out of your Database. While I am a great fan of your other Videos and shared information I disagree with this one completely. 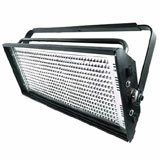 I am Suresh ROHIN for Creamsource LED light manufacturers. 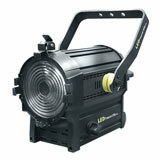 I am a DOP with an Engineering back ground and Distributer of CreamSource Light for Canada and India. The measurements within this database were all taken back in April 2015 at NAB in Las Vegas. The Creamsource lights were tested again at NAB this year (April 2016) and their improved LED tech increased all of their results. (Results will be posted this Friday in our new database; the current database will remain here for those who still have the older generation of lights.) I’m guessing that the “several test sources” you are referring to also were conducted on the current generation of Creamsource lights. This database is meant to give the consumer an unbiased measurement of all lights on the market, past and present. It would be unfair to everyone if database entries were removed because brands did not like how their color compared with competitors. 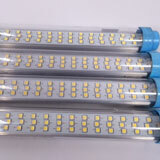 If a brand does not like their results, the best solution is to improve the quality of their LED technology.